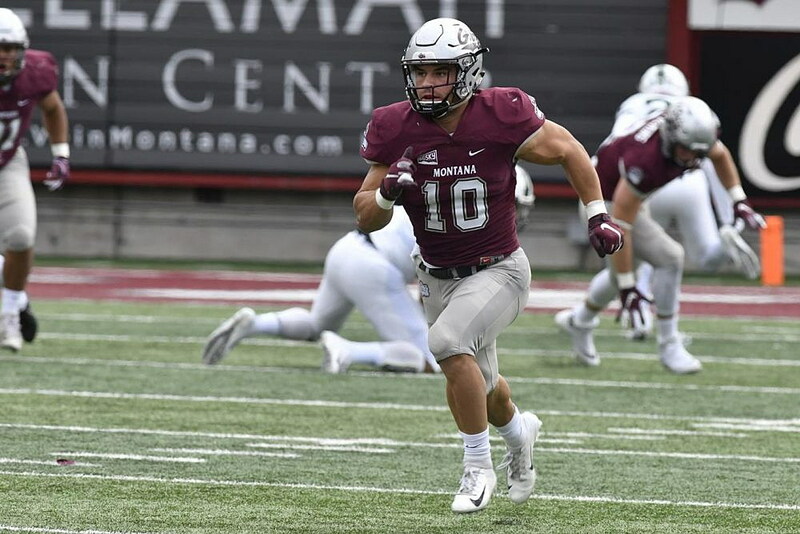 The #22 Montana Grizzlies head to Grand Forks on Saturday for a key mid-season matchup that is likely to hold postseason implications for the Griz as the business end of the schedule nears. The Montana/North Dakota game will be broadcast over the air and on cable systems statewide on your local FOX Montana station (except in Billings where the game will be seen on SWX, channel 8.2 and Spectrum channel 503). In Missoula, FOX Montana can be found on channel 23.2, in Butte on channel 18.2, in Kalispell on channel 42.2, and in Bozeman on channel 28.2. Fans worldwide can tune in for FREE at Pluto.tv and the PlutoTV app (channel 240) on their computer, smartphone, tablet, smart TV or over-the-top device (Apple TV, Roku, Google Chromecast, etc.). The game will be produced by UND’s broadcast partner Midco Sports Network, with Alex Heinert providing the play-by-play and Ryan Kasowski serving as analyst. LOOKING AHEAD: The UC Davis at Montana game will be the final contest of the year on Cowles Montana Media stations and will be broadcast statewide on ABC Montana while streaming on PlutoTV channel 237. The remainder of Montana’s schedule will be broadcast nationwide on ROOT Sports, with distribution now available on both DirecTV and DISH, as well as streaming on DirecTV NOW. LISTEN: “Voice of the Griz” Riley Corcoran and Greg Sundberg will bring you the action live from the Alerus Center on the Grizzly Sports Radio Network.